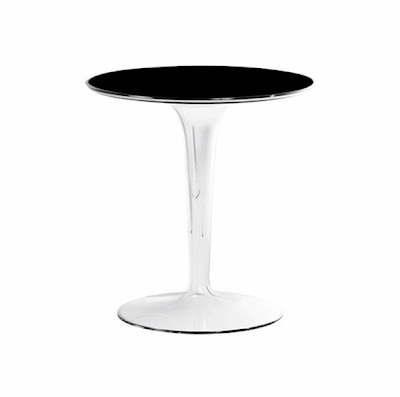 Tip Top Tulip Kartell 860003 Small Side Table Mono, Translucent - The Tip Top table was designed by Philippe Starck with Eugeni Quitllet for Kartell in Italy. 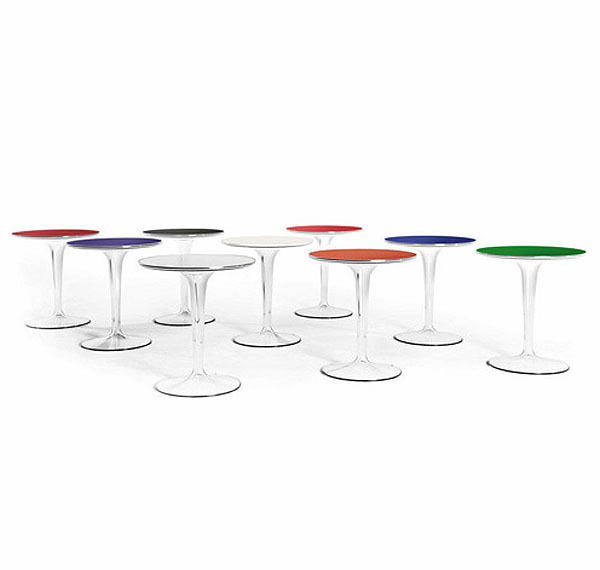 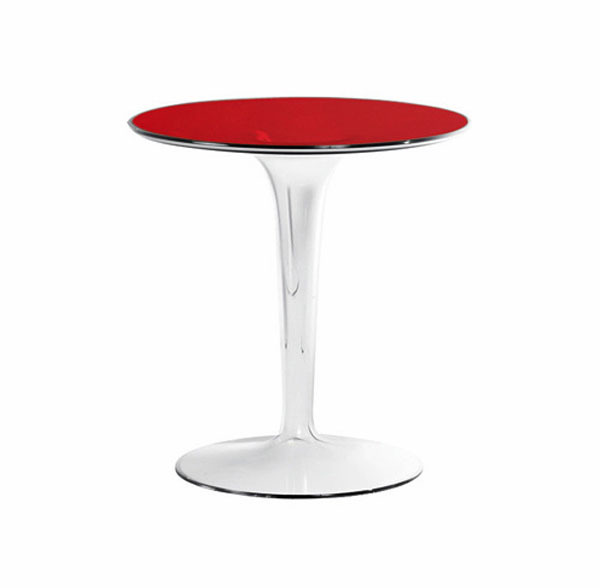 A delicious little side table with attractive colored table tops that can be used indoors or outdoors. 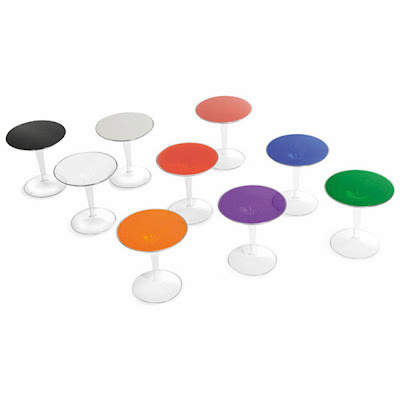 Tip Top is a small side table, agile and light; it has a single base on which a round top rests. The combination of the colored top and the hollow transparent leg gives depth to the structure. The top comes in vast range of colors.